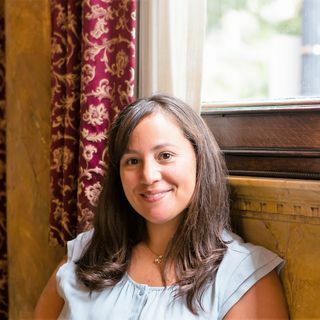 Christina Casole graduated from The Pennsylvania State University with a BS in Civil Engineering and from The Johns Hopkins University with an MS in Environmental Science and Engineering. With over 16 years of experience, she began her career at WSP working on various engineering assignments and then joined A. Morton Thomas and Associates as a water resources engineer. Casole is currently working at Skelly and Loy, Inc. assisting in expanding their environmental and water resources engineering services in the Maryland and Virginia markets. Previous project experience includes stream restoration and stabilization, stormwater management, low impact development, watershed assessments and floodplain analysis. She has been the lead designer and project manager on several stream restoration and stormwater management projects presently under construction. Casole has volunteered with ASCE extensively throughout her career. She has served on boards and committees since first joining as a student member at Penn State. Her continued involvement led to positions on national committees as well as at the local level working her way up to President of the Maryland from 2011-2012. Casole is also involved in the American Council of Engineering Companies as a member of the Environmental Committee and Awards Committee. During her free time, Casole enjoys a variety of outdoor activities as well as traveling and volunteering for the community association in her neighborhood. I’m going to have to say all of them! Each project, client and team I’ve worked with since I was an intern presented me with challenges and learning experiences that have shaped the professional I am today. My current position with Skelly and Loy has grown since I started a few years ago and now encompasses three main aspects: technical work, business development, and marketing. I really enjoy the challenging aspects of balancing all three as well as the change in pace and thought process required for each of those specific areas. No two days are the same and I like being able to use both my analytical side and my “softer skills” such as networking and technical writing. Looking back at my career up to this point, I reflect back with satisfaction that my journey wasn’t a straight line from junior staff for water resources to the position I’m in today. It more closely resembles a fun road trip where you end up stopping at unexpected places and discover some amazing things along the way. The best part is that my road trip continues! As a ASCE Region 2 Governor, what has been your favorite aspect of this role? My focus since I became a Region 2 Governor has been to reach out to Younger Members Groups and Student Chapters to help them achieve their goals as well as ensure they are given the tools needed to be successful chapters. I find my outreach efforts rewarding knowing that I’m not just promoting our profession, but promoting the people within our profession.